Now that Apple’s tablet device has been blessed with that “Resolutionary” display, images appear sharper, colors more vivid, and sliding through a photo album is an infinitely more pleasing experience. Instagram is the number one image-only social site, and although the recent purchase by Facebook left many feeling somewhat precarious, the CEOs of the respective parties have assured the Instagram community that nothing will be changing, and the app will continue to maintain its own, separate identity. Although the Facebook factor is quite clearly the elephant in the room, the lack of Android and tablet support have been the two areas indicated by consumers which need addressing. The Android app is now in full swing, and has already surpassed 10 million downloads, but there’s still no proper iPad app. Unfortunately, because the Instagram API doesn’t allow devs to add photo upload capabilities to third-party apps, for the time being, we’ll have to cope with Instagram viewers for iPad, which, while not the same as the full-on experience, can still be worthwhile pursuing. Here, we compile the pick of the bunch, so sit back, grab a coffee and fire up your App Store app! 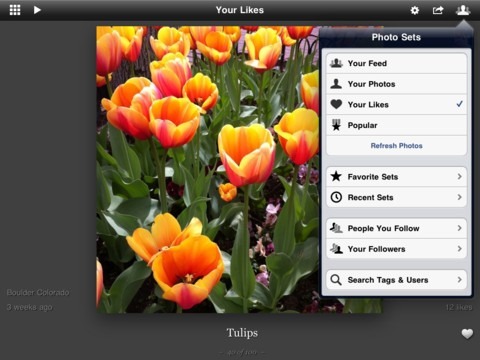 Iris is a beautifully-crafted app offering many of the feature’s you’ve become accustomed to with the official Instagram app. You can leave your feedback on images posted by friends by adding a comment or like from the main view – as you do on Instagram for iPhone. In fact, it does bear striking similarities to the iPhone version, but is nicer to use because it takes advantage of the extra screen real estate. 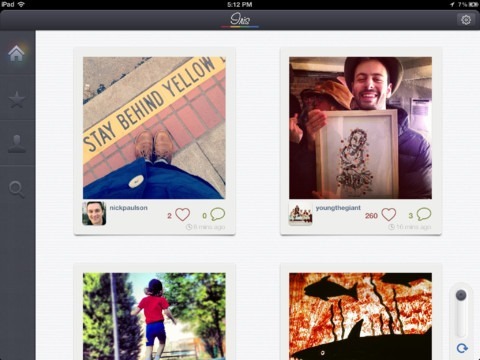 If you find the layout of Instagram to be rather cramped, then Iris will be like a breath of fresh air. 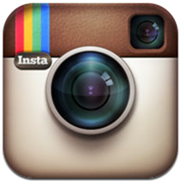 In your Instagram profile, you can toggle between a large-image and small-image grid, which will allow you to see less or more images any one time. If you tap the “globe” icon, you can sort your images – or those of others – by geographical location, which is handy if you’re trying to follow a certain event. It costs $1.99 from the App Store, and is worth every cent. While the Instagram app is often the subject of scrutiny due to its somewhat bland interface, the same can’t be said for the elegant, well polished InstaPad Pro. Fully optimized for the new iPad’s Retina display, it offers the ability browse through tags, search for photos based on geographic location, and you can easily respond to comments. The app, which supports an impressive fifty two languages, certainly delivers a decent Instagram experience, and although the $2.99 is slightly higher than most would like to pay, the beautiful UI means it’s not just the photos that’ll keep you coming back for more. An app concentrating on showing off as much of an image as feasibly possible, Instagallery’s full-screen experience in portrait or landscape gives you the opportunity to take an even closer look at some of the fantastic snaps circulating on Instagram. 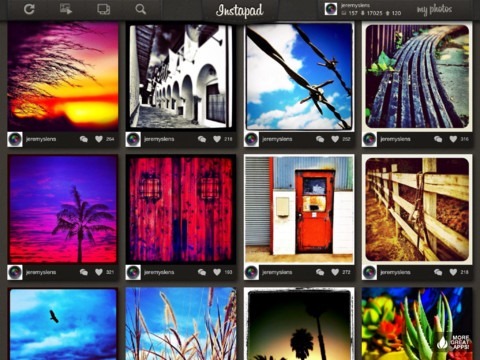 You can view against a lighter background, or, if you prefer, a darker one, and like InstaPad Pro, Instagallery just oozes elegance. 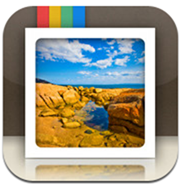 You can check out your feed, popular photos (or indeed your own photos) via slideshow if you prefer, and if you have an iPad dock or similar, watching an Instagram slideshow can be a wonderful experience. For $1.99 over at the App Store, it’s certainly worth considering – particularly if you like your full-screen slideshows. 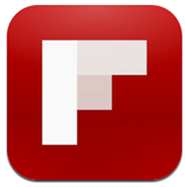 OK, so Flipboard isn’t exactly a dedicated Instagram app, but ironically, it actually performs better than most of them. Widely regarded as one of the best apps for iOS hands-down, it’s one of those apps that you only need to try once to be hooked. It’s clean, functional and simple to navigate, and once you stick your Instagram feeds on there, you’ll wonder where Flipboard has been all your life. 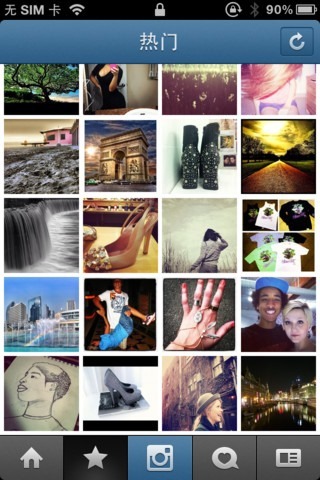 In fact, we’d go as far as to say browsing Instagram on Flipboard is almost better than the real thing! Images are presented in a mosaic form, which makes them really easy to browse. If you select one, you can then view the uploader’s profile, add a like, leave a critique, share socially, or simply tap the red tag to discover more of the same. The fact that it’s free is simply the tip of the iceberg, and you can add feeds of any blog, news or social network of your choosing. 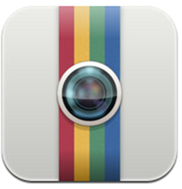 It’s a revolutionary app in itself, and even if you don’t use it for Instagram, you’ll find a use for it! While using blown-up apps made for iPhone on an iPad isn’t to everybody’s liking, it’s currently the only way you can port images through from your device. As you would expect, the app isn’t ideal for the iPad’s screen, but the quality of images remains high. If you can get past the fact that it looks a little awkward, you can still enjoy the full experience on the iPad. Sort of. 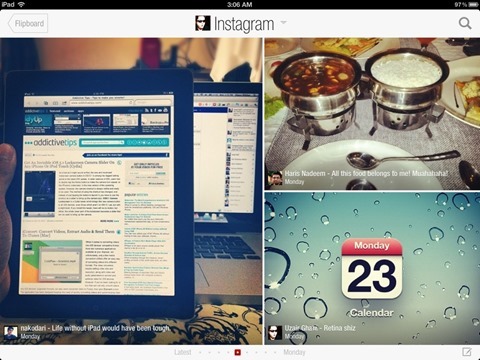 We still hold out some hope that eventually, the creators of Instagram will offer a proper iPad app. 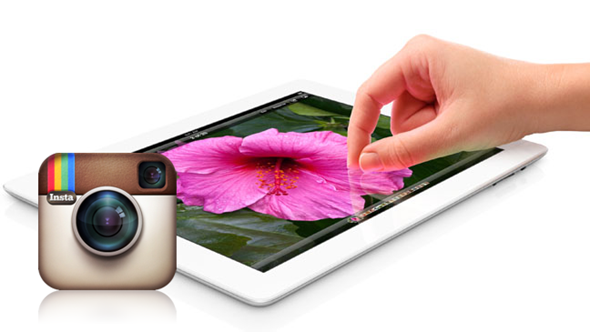 Sure, the iPad 2 didn’t really have substantial enough a camera to justify a dedicated app, but with the new 5-megapixel iSight snapper on the new, Retina iPad, the time has certainly come for Apple’s tablet to join the Instagram party.